Sen. Tim Kaine (D-Va.) and Rep. Randy Forbes (R-Va.) expressed optimism in a pending congressional deal that may provide the Pentagon a modicum of fiscal stability. “I really think we will see a bill that comes out, goes over to the Senate and ultimately gets passed despite all the bumps we have in the road over the next several days,” Forbes said on Tuesday in address at the U.S. Naval Institute’s Defense Forum Washington 2013 in Washington, D.C.
Senate and House leader announced Monday they had reached a bi-partisan agreement that would move forward the Fiscal Year 2014 National Defense Authorization Act (NDAA). The agreement preserves most of the Pentagon’s $526 billion of discretionary authorization requests. The bill would not allow the Department of Defense to begin a new round of base closures and reductions in military and veteran healthcare coverage. In tandem, a congressional budget committee is working on a funding bill that would provide funds for the DoD entire federal government. Democrats and Republicans are only $90 billion apart (about 2.4 percent) on the topline for the total federal budget, Kaine said. 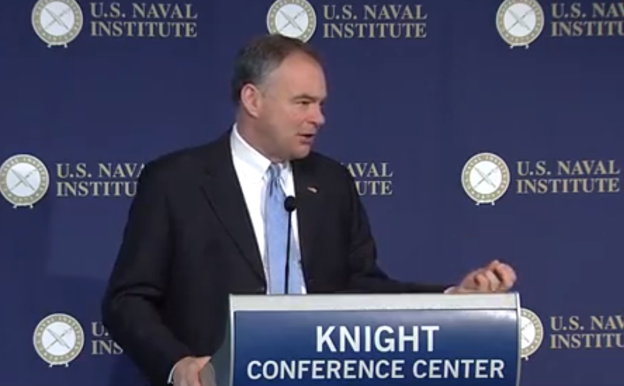 “We are shooting for a deal that would provide two years of certainty,” Kaine said at the same event. Kaine said the deal could be the first step for a two-year federal budget, a strategy used in several states. The deal also would “smooth out” the $20 billion in Pentagon sequestration cuts as part of the 2011 Budget Control Act that cut 10 percent of the Department of Defense’s and minimize the impact to the military, he said. The House is scheduled to leave for its end-of-year recess on Friday.